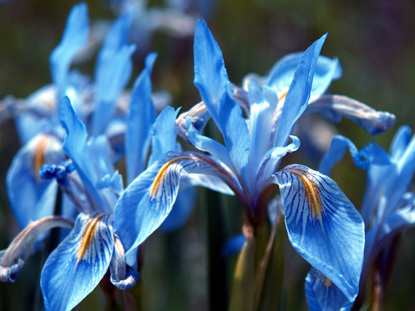 Iris means 'rainbow' in Greek simply because it comes in hundreds of varieties of colours - pink, yellow, blue, violet, maroon - you name it the Iris comes in it. 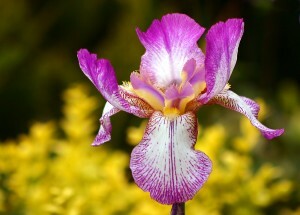 Known to be commonly used to perfume cosmetics and other beauty products the Iris also has some healing benefits. The yellow iris in particular can be used to treat skin conditions such as dandruff and acne. Juice from Iris roots has been used to apparently remove freckles! Other medicinal purposes this flower is used for include complaints of the lungs such as bronchitis. Weleda, the biodynamic legends of organic skin care, have used the violet, light scented flower to perfume an entire skin care system including cleanser, toner, night cream, moisturiser, facial masque and soap. So if you're an Iris fan you can smother yourself with this organic beauty from head to toe!